The Connacht championship launch took place at the Centre of Excellence in Bekan yesterday and there’s a fair bit of coverage arising from it in the papers today. Mike Finnerty was there for the Mayo News football podcast and you can hear more on that when the episode goes online later on tonight. Stephen Rochford was there to meet the media and there are a number of pieces with the boss this morning – Irish Examiner, Irish Independent, Irish Times, Irish Sun, GAA, RTÉ, Sky Sports. Most of these reports zero in on Stephen’s dismissal of rumours that Lee Keegan might be good to go for us on Sunday week. The analogy has been drawn with Robbie Henshaw – I raised this myself in our chat for the podcast last night – but Stephen was emphatic that speculation about an early return for Lee is wide of the mark. Aside from anything else, the Henshaw comparison isn’t a valid one – he returned to the fray ten weeks after his operation and it’s only been six weeks since Lee had his surgery. A return to action in time for the Connacht final, should we end up going the direct route this year, always seemed the likelier target. The manager did, however, have some good news on the injury front yesterday. Brendan Harrison, Chris Barrett, Donal Vaughan and Cillian O’Connor should all be okay to line out on Sunday week. Mike had a good chinwag with Rochy at yesterday’s event and you can hear it all on the podcast when it goes live tonight. The episode also includes chat from the launch event with David Clarke and Galway’s Damien Comer. Kevin Walsh was also in Bekan yesterday, by the way, and there’s an interview piece with him in today’s Irish Independent – here. Other pieces with him – GAA, The 42. Another manager getting media coverage today is the Mayo ladies’ bainisteoir Peter Leahy. He’s been speaking about Sunday’s NFL decider against Dublin and, inevitably, speaking about Cora too. Pieces here – Irish Examiner, Irish Independent, Irish Times, The 42. Meanwhile, I’ve just seen that Conor Lane has been appointed to ref the match on Sunday week. Not the best choice, you’d have to say, but, as ever, one we have to live with. Midwest have that report (here), in which they also confirm that Cillian O’Connor will, once again, captain the team this year. Right, that’s your lot for now. Best of luck to the Juniors and the Minors, both of whom are in championship action at MacHale Park this evening. I’ll have a (short) piece on those matches later on and the new edition of the podcast will also be going online tonight as well so stay tuned for that too. 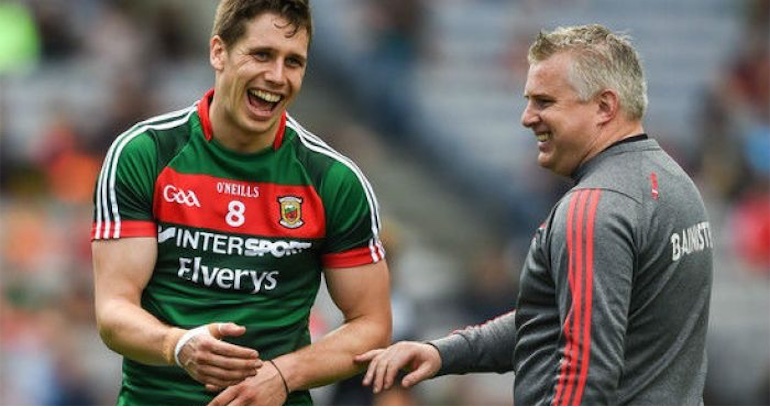 Even if Keegan was back training would be extremely risky in the long run to play him against Galway who would surely target his shoulder should he see game time. What an absolute class act . Project manager on a number of bridge replacements in the UK. Trains 5 times a week with Mayo. Top man T. Parsons. Thanks guys, sounds like an incredibly focused and intelligent guy, with a great attitude, and desire to succeed on and off the field, while helping others less fortunate. Hope u have a great year Tom, and ur teammates too, starting on the 13th, come on ye incredible men, we are so blessed and privileged as supporters, the Green and Red forever. The Mayo U17 team get their Connacht football championship campaign underway tonight when they face Leitrim in Elverys MacHale Park. There is a change to this year’s competition from straight knockout to round robin and new manager Tomas Morley will be keen to get a win in his opening fixture. Selectors: Paul Cunney, Kevin Filan, Fergal Kelly, Kieran Lavelle & Tom Mulderrig. The Mayo Junior team start their Connacht championship campaign tonight when they host Roscommon in Elverys MacHale Park. New manager Jarlath Trench will be keen to get a win in his opening fixture and has named a team with plenty of youth & experience. The winners of tonight will only have one week to prepare for their next game with the semi-final against Leitirm scheduled for next Thursday May 10th. Selectors: Peadar Flynn, Cormac Gordon & Martin Trench. That is a great picture Willie Joe-it captures Lee so well. I get so angry when i think of that injury v Tyrone. How we will miss him Sunday week. What a busy man Tom is ..WOW – thanks for sharing that article. That was a great read at lunchtime. It was a cowardly tackle alright Goagain2018. And to see one olf our own in such distress on the field..jez my blood boils. The effort Lee would have made to get back to that level after hip operations and to start all over again. 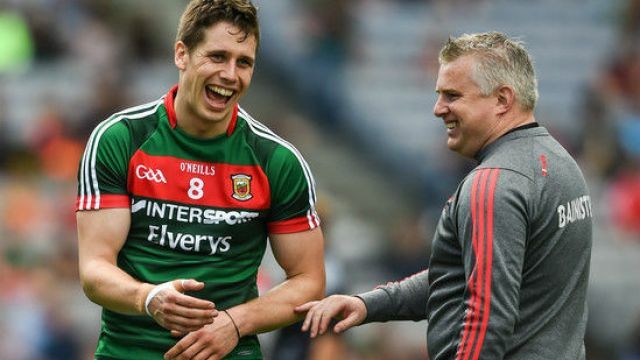 How come Brian Reape, Ryan O’Donoghue and Cian Hanley aren’t involved with the Mayo Juniors 2nite.Our County Board don’t treat the All Ireland Junior competition with respect at all appoimting a management team only 3 weeks before the match tonite.It looked as tho the manager Trench from Davitts made a big effort calling all the clubs to get all available players but obviously some turned down the chamce. All the best players under 24 playing Intermediate or Junior should be playing made play and Stephen Rochford or whatever Senior manager is in charge should have more input into the Junior panel.We never use our heads like Kerry do. Cairde Maigh eo tickets were emailed out today. Download and print or download onto smartphone. Unfortunately due to a long term commitment to my teenage daughter I will be in Pearse Stadium and not McHale Park! I will be wearing my Mayo shirt though. I will even buy a red and green shirt even though these type of shirts do not suit my mature and well lived build. Hanley, Reape, O’Donoghue, will all get the chance to play senior football for Mayo at some stage, 2 of them already have. Theirs good club players on that team tonight who have slogged for years, and deserve a chance to pull on a County jersey at Junior level…probably never got a look in at senior. 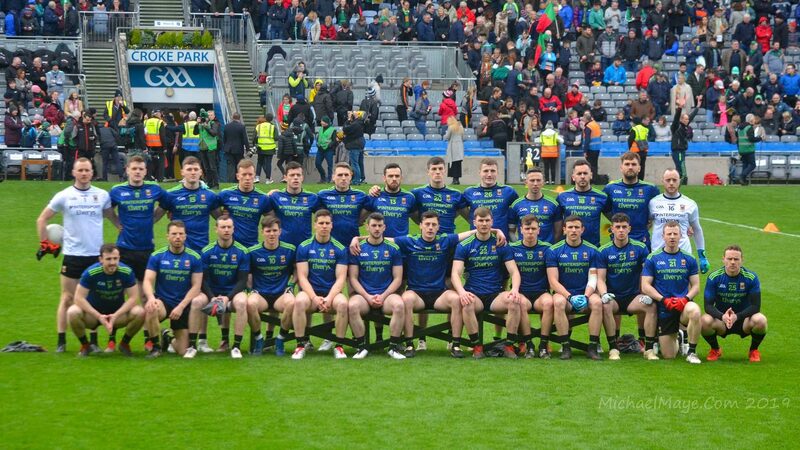 Roscommon seem to be putting out loads of players from their senior panel, which seems strange to me, smacks of McStay trying to add another AIl Ireland to his cv, all be it at the galactico level of Junior… With the amount of Senior rossie panellists tonight, cant see anything but a loss for us. But best of luck to the lads and minors tonight. Th. Please refer back to the many interviews done by Billy fitzpatrick after his involvement with the juniors. Utter disgust that many players did not want to play and some managers didn’t want their players involved either. The players involved tonight should be commended for their desire to play for their county rather than talking bout those not involved. Its a bit like Saipan really. Can you blame players for not wanting to play. Risk getting hurt or injured in a game where the team has had little or no training and equal amount of respect from the County Board and supporters. Most club players are very loyal and go through a lot to play for their clubs – this is where their loyalty lies. Why risk injury and then miss a club match where your club is relegated or misses out on promotion. My biggest ever moment as a football supporter was watching my club winning a county title – lets say a little tear may have been shed. @Willie Joe.. I rate Conor Lane a must better referee than other’s that I could mention.. I think he reefed the 2016 drawn All Ireland Final… He missed a hard trip on Andy.. That should have been a black card for John Small, but he did put his hand up and admit his mistake afterwards..and that’s refreshing to hear that from a Ref .. He was eagle eyed enough to give James McCarty a deserved Black Card, despite the player’s strenuous objections to the same… Another continuous decision was, not to give a free in to Mayo immediately after Cillian’s brilliant equaliser… Possibly a wrong call, but to be honest, Evan Regan fouls the Dublin player within milliseconds of the ball being touched on the ground… Hard to be critical in real time of the Ref.. He did give Mayo sufficient time equalise after some Dublin time wasting… He missed what I would consider to be red card offences against, Michael Darragh McAuley and another one against John Small…. Big decisions on the biggest day not all 100% correct on the day… Maybe Mayo got the rub of the green a time of two as well… But in fairness to Conor Lane, miles ahead of Maurice Deggan or Dublin Joe McQuillian. He, and his team who are equally important will need to be at their eagle eyed best on Sunday week. You’re mixing up the two 2016 final games there, Leantimes – it was Maurice Deegan who missed the hand-trip on Andy by John Small, that happened early in the replay. Maurice could, indeed, have put his hand up for a few more howlers that day but sure it’s all water under the bridge now. Conor Lane is a man who “likes to let it flow” so no amount of pulling and dragging on Aidan will result in a free. That’s okay providing Comer’s party trick, collecting possession at pace and then running headlong at the nearest back and falling theatrically once he makes contact, doesn’t merit a free either. He did this repeatedly in the League final and had Jonny Cooper driven mental with all the handy frees he was winning. In the Mayo news interview Tomas Morley mentioned the minors were unbeaten in a series of challenge games which included Cork and Tyrone. Tyrone are last years champions and off to a flyer already hammering Donegal. Maybe a sign that this is a strong minor team we have this year. Backdoorsam if they played senior club in mayo last year they are not eligible. In Roscommon if they played senior county last year they are not eligible but it’s ok to have played senior club. Different counties different rules. Matthew Ruane and Ciaran Treacy aren’t eligible for the junior team. Would have liked to see Reape and Hanley alright. We’re ahead at half time, 1-8 to 1-5. We’re ahead! Injury time goal! Did Conor Lane not ref championship match Vs Galway in 2016? Great win by juniors, according to reports, ended up with a fly goalie. Well done lads. Well done to the juniors! I see that according to the Mayo News Sport twitter feed that it was Ciaran Boylan, son of former Meath manager Sean, that scored the winning goal five minutes into added time. I wonder how he ended up playing for us. Any day that the Rossies are put back in their box is a good day, especially winning it with last kick. Keep an eye out for Frank Irwin in the minor game tonight an exciting talent indeed!! Pity Harry West isn’t available for the minors this year!! Brilliant result. Delighted for team (Ciaran Boylan is a teacher in Achill). It’s just a small installment on what he owes us. But much appreciated. Well done to our Minors too. Two games and two wins, you can’t ask for much more than that. Lets hope that trend continues for the year ahead. What a dramatic finish to the Junior Game. It was a robbery and the management must get some credit for taking the chance, they would be castigated if it went the other way. Cormac Doohan impressive. Thought Brendan Carr very good. The U17 match wasnt a great contest. Leitrim tooged 18 players which was a worrying start and one of them was a sub goalkeeper. We played some lovely football early on and went 1-4 to 0-0 up. A Soft enough penalty which was scored by our Captain Enda Hession who contribute 1-3 out of the first 1-4. The other point was brilliantly executed by Conor Dunleavy Balla. We then seemed to fade out of it drastically around the centre of the field where Leitrim had a very big combination. They also had a very good footballer Tom Prior at FF. Leitrim came back 1-5 0-4, but then we took back control five minutes before half time with a goal from Fionnan Reilly from Belmullet. It was a cakewalk from there to the finish with Reilly and Horkan getting two more goals. I was impressed with Lee Traynor from Ardagh. The two lads from Garrymore Hession & Horkan were good. Fionnan Reilly from Belmullet also. Great to see the minor players coming from a spread of clubs like Ardnaree, kiltimagh, mayo Gaels, balla, kilmeena, ardagh, louisburgh, kiltane and the Neale to name a few. It appears the grass roots work done at these clubs in the early to mid naughties is paying dividends.. The experience they lads can bring back to their clubs should benefit a lot more younger players coming forward from the same clubs.